Sun TV Network launches 4 high definition channels in Tamil and Telugu languages from December 11. The company plans to launch Sun TV, KTV, Sun Music channels in Tamil to HD. Gemini TV in Telugu language will also be launched in HD. These 4 channels will first be offered in the DTH and digital cable platforms in India and later will be made available to global markets. Sun TV, KTV, Gemini TV in HD is to be priced in Rs 40 per month. Sun Music HD will be priced in Rs 25 per month. All 4 HD channels will be available in Rs 100 per month. In HD, the density of pictures will be 5 times that of Standard definition which results in sharper image. 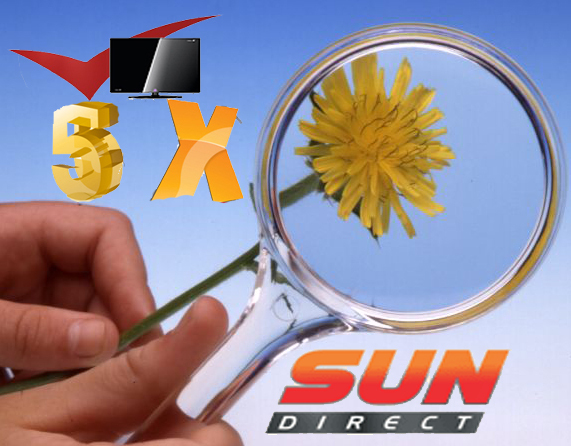 0 Response to "Sun Network to offer 4 channels in HD from today"